TREATS MAGAZINE - Issue 6 - w/ Robin Thicke on Cover. you've ever seen and talks being inspired by treats!, a beautiful, ethereal shoot by founder Steve Shaw starring the first expecting model ever to be featured in treats! 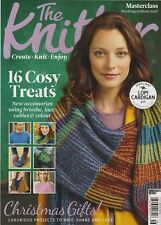 TREATS MAGAZINE - ISSUES Nine Ten & Eleven 9 & 10 & 11 - Excellent! You've ever seen and talks being inspired by treats!, a beautiful, ethereal shoot by founder Steve Shaw starring the first expecting model ever to be featured in treats! Chelsea Salmon. Magazine - Issue 6. Emily Ratajkowski makes an unprecedented 4th appearance intreats!, teaming up again withTony Duran. Also, read about the rise, fall, and rebirth ofLouis Vuitton. TREATS MAGAZINE - Issue 4 - w/ Sessilee Lopez on Cover. Issue 10 Featuring ten models like you have never seen them before across 160 pages! Shot by ten top photographers each with their own individual cover. TREATS MAGAZINE - Issue 10 - w/ Rocky Barnes on Cover. Introducing treats! Issue 9, the “ Tropical Issue ”. We are proud to present the seventh issue oftreats!, our biggest issue yet. Witness the exclusive cover debut of actressDylan Penn as you've never seen her before, captured by iconic photographerTony Duran. TREATS MAGAZINE - Issue 8 - w/ Lydia Hearst on Cover. Issue 10 Featuring ten models like you have never seen them before across 160 pages! Shot by ten top photographers each with their own individual cover. Introducing treats! Issue 9, the “Tropical Issue ”. You've ever seen and talks being inspired by treats!, a beautiful, ethereal shoot by founder Steve Shaw starring the first expecting model ever to be featured in treats! Chelsea Salmon. Very Good to Excellent condition.Very slight scrubbing along left side of binding on cover. I have doubles of most of the run. What a great job Steve Shaw’s done on this magazine! Magazine issue 4. Very slight wear along edge. See pics for details. Magazine is still in manufacturer's shrink wrapping. founderSteve Shaw, another stunning editorial ofEmily Ratajkowski byTony Duran. FounderSteve Shaw, another stunning editorial of Emily Ratajkowski byTony Duran. Very collectible! The breathtakingly photographed Treats Magazine in it's original high quality paper and ink print format. We are proud to present the seventh issue of treats!, our biggest issue yet. Witness the exclusive cover debut of actress Dylan Penn as you've never seen her before, captured by iconic photographer Tony Duran. treats Issue 10, rare Rachel Cook Cover! Slight Ruffled Edge. Condition is Very Good. Shipped with USPS Priority Mail. Treats Magazine Issue #1 First Issue! Emily Ratajkowski RARE & Out of Print! 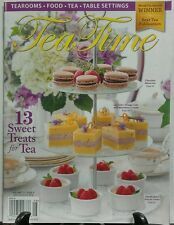 Treats Magazine First Issue! RARE & out of print! TREATS MAGAZINE FIRST ISSUE EMILY RATAJKOWSKI. Condition is Very Good. The issue featured the classic picture of Raquel Welch on the cross taken by Terry O'Neill. Literary subjects in the premier include features on Jason Statham and Shepard Fairey. THE FASHION MAGAZINE TREATS! The magazine is in good condition with minimal wear. THE FASHION MAGAZINE PURPLE FASHION FALL/WINTER 2008/2009 V3N10. The magazine is in good condition with minimal wear. Is one with the sun again in our 2nd annual swim issue. Hunter McGrady. 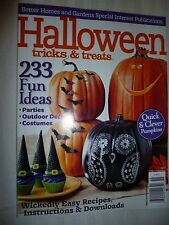 Top that with a candid interview with How To Get Away With Murder‘s Charlie Weber and an ode to Danish models plus more, and you have an issue that simply cannot be missed.Front and rear covers and all pages in excellent like new condition. GREAT COVER! Rachel Cook on the cover of this #12 issue of Treats magazine. Oversize magazines such as Cigar Aficiando, Hello, Interview, Life, Rolling Stone, and W may be more. All other countries. Is one with the sun again in our 2nd annual swim issue. Hunter McGrady. Top that with a candid interview with How To Get Away With Murder‘s Charlie Weber and an ode to Danish models plus more, and you have an issue that simply cannot be missed. S Magazine # 1- Danish fashion magazine. Similar to Treats. RARE! S magazine is a Danish published fashion magazine that features provocative photography by established photographers and professional models. Magazine is 200 pages. Magazine shows wear to spine and covers, interior is near to mint. TREATS MAGAZINE - Issue 10 - KATE HARRISON - Brand New! Special Pricing! TREATS MAGAZINE - Issue 10 - Ellie Gonsalves - Brand New! Special Pricing! You won't find a fresher, cleaner copy. TREATS MAGAZINE - Issue 10 - ROCKY BARNES - Brand New! Special Pricing! TREATS MAGAZINE - Issue 10 - Sahara Ray - Brand New! Special Pricing! Is one with the sun again in 2nd annual swim issue. Hunter McGrady. Top that with a candid interview with How To Get Away With Murder‘s Charlie Weber and an ode to Danish models plus more, and you have an issue that simply cannot be missed. TREATS MAGAZINE - Issue 5 - XENIA - Brand New Copy! SPECIAL PRICE! TREATS MAGAZINE - Issue 9 - JULIA LESKOVA - Brand New Copy! SPECIAL PRICE! TREATS MAGAZINE - Issue 7 - DYLAN PENN - Brand New Copy! SPECIAL PRICE! TREATS MAGAZINE - Issue 8 - LYDIA HEARST - SPECIAL LIMITED PRICING! LAST ISSUE WE HAVE! OPEN ISSUE, GREAT SHAPE. GET YOUR COPY NOW. I have doubles of most of the run. What a great job Steve Shaw’s done on this magazine! Magazine issue 5. Still sealed and in New condition. I see no wear along edges. See pics for details. Any white spots on the photos are glare from the light, not wear. ISSUE NUMBER 1 - PREMIERE ISSUE. You won't find a fresher, cleaner copy. MAGAZINE 8TH ISSUE MAR. 2015. Never read and never open. Treats Magazine Issue 8 March 2015. Condition is Like New. Shipped with USPS Priority Mail (1 to 3 business days). This is a rare copy of the first issue of Treats magazine which is out of print and sold out. A gorgeous magazine filled with beautiful pictures of super models. This is issue number 1, still sealed. Last Issue put out almost 2 years ago. GREAT COVER! Dylan Penn on the cover of this #7 issue of Treats magazine. All other countries. TBD STANDARD size magazines only. (Not to exceed 4 lbs). 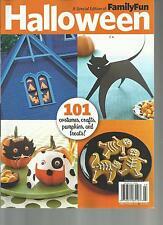 Better Homes & Gardens Halloween Tricks & Treats Parties Costumes Free Shipping!